This assignment is designed to help students learn to navigate some of the basic library resources and introduce them to MLA citation style. This is a .pdf file of the assignment. The English 1301 Library Project is designed to help students learn to navigate some of the basic library resources and introduce them to MLA citation style, used for documenting sources in English and other humanities courses. Submit this sheet and typed MLA citations to instructor by the date due. Citing the Project in MLA 8th ed. This is a .pdf document of LSC-O's MLA Style Guide, put together by the librarians here at LSC-O. 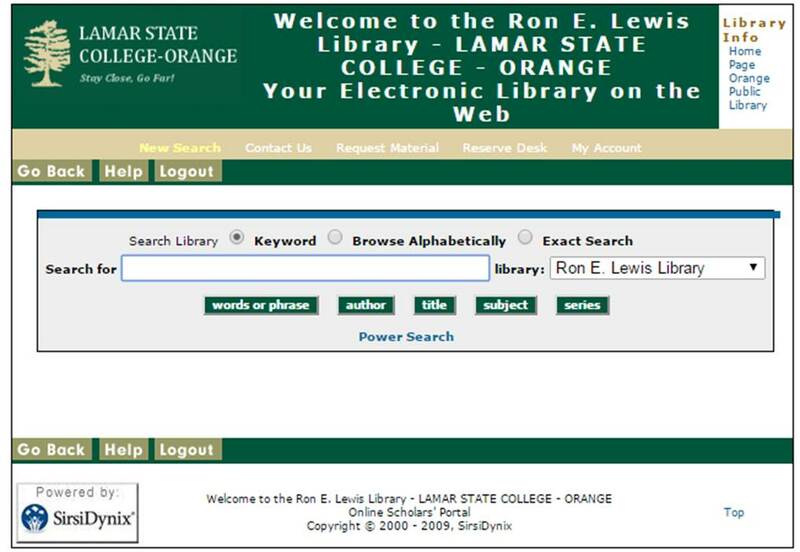 View the tutorial above for help finding your books and articles for the Library Project. The file is a PowerPoint slide show saved as a .pdf. Use the Library Catalog to search for books by and about your assigned author. 1. To find books by your author, click on the author button after typing the author's name in the search box. Example: Your author is Jane Austen. When we search for books by her, we want books that she wrote herself. 2. To find books written about your author, click on the subject button after typing the author's name in the search box. Example: Your author is Jane Austen. When we search for books about her, we want books that other people have written about her life or her work. These are not books that Jane Austen wrote herself. Magazines and scholarly journals on all topics. Use check boxes to limit results to all full-text or all scholar journals. Controversial topics, pro and con arguments, background information, from all types of sources.